Yesterday, the US First Lady Michelle Obama hosted a dinner in the White House recognizing and congratulating the young winners of the 2016 White House Recipe Contest which is also known as Healthy Lunchtime Challenge. Three Indian American children were among the invitees to the State Dinner in recognition of their winning recipes. A matter of pride for the Indians in USA! Healthy Lunchtime Challenge is one of the most popular events at the White House in Washington DC. A nationwide recipe contest for young culinary aspirants, it helps to promote healthy cooking and eating. Since its launch in 2012, the contest has been won by 270 young chefs from across the United States and seen submission of over 6000 recipes. Sponsored by the US Department of Education and the US Department of Agriculture, the White House recipe contest is part of Michelle Obama’s initiative ‘Let’s Move’ to keep kids in good health. 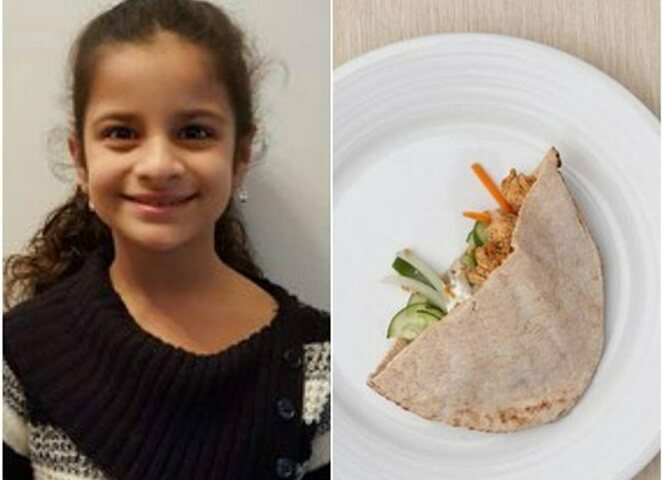 Shakthi Ramachandran from the US state of Indiana won the White House Recipe Contest for her recipe of chicken tikka pita with cucumber raita. She owes her love of Indian food to her father who is from India. Any Indian dish having a lot of vegetable is her favorite. She gets most of the vegetables from their outhouse garden. Abhijith Jenkins from the US state of Missouri won the 2016 Healthy Lunchtime Challenge for his tropical catfish and quinoa delicacy. Michelle Obama gave a warm welcome to all 56 winners of the 2016 White House Recipe Contest, including the three kids from the Indian American community, praised them eloquently for their culinary creativity and treated them to a delicious dinner in the White House. A special performance by Walt Disney World Resort’s “The Jungle Book: Alive with Magic” was organized for the young chefs, as the kids were referred to. Television Chef Rachael Ray whose Yum-O organization is a partner of the Healthy Lunchtime Challenge turned up to catch up with the winners at the State Dinner. Travel Beats is a digital news portal for Indian Diaspora by IndianEagle, a leading international organization booking travel to India for Indians in America. Subscribe to Travel Beats for the latest updates from the Indian Community in USA.